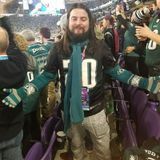 Mango "The Kid" "The Goat" "Scorpion Master"
Mango (often stylized as Mang0, also known as Scorpion Master, The Kid, The GOAT, and The Buster) is a professional Melee player from Norwalk, California who is currently ranked 5th on the 2018 MPGR. He was formerly ranked at the 0 position on the Northeastern Ohio Melee Power Rankings and 1st on the SoCal Melee Power Rankings. Mango is famous for being able to play several characters at a competitive level, making significant impacts at tournaments with Falco, Fox, Marth, Jigglypuff, Mario, Captain Falcon, and Link. Because of his innovations and dominance with Jigglypuff from 2007 to 2009, Mango is generally credited for Jigglypuff's large jump in the Melee tier list, from ranking 6th and 7th with Captain Falcon to ranking 3rd (now 5th). Mango was widely considered to be the #1 best Fox player in the world, though this was before the emergence of the Swedish smashers Armada and Leffen. Thus, he is widely considered to be the best NTSC Fox of all time and the best Falco player in the world (formerly alongside PPMD). Melee It On Me's 2013 SSBMRank and 2014 SSBMRank ranked Mango as the #1 Melee player in the world, and he is one of two smashers in history to have won Melee singles at EVO more than once, performing the feat in the 2013 and 2014 installments of the series. Mango is widely considered to be one of the greatest Melee players of all time. Mango received his gamertag in the 5th grade while playing the PC first-person shooter Counter-Strike. At a LAN party, he entered his name as "I want a Mango" and his friends have called him "Mango" ever since. Mango's Jigglypuff made a famous rest read against the Swedish player, Armada at GENESIS. Mango placed 3rd in Singles at EVO World 2007, defeating many of the best known professional smashers, notably Mew2King in pools. He placed 3rd in singles at Super Champ Combo, again defeating many well-known players. In doubles, he also placed 3rd with his partner Lucky, even beating the team of Ken and Isai. On February 4th, 2008, Mango won Pound 3. After losing in round 1 of the bracket to Silent Wolf, he beat Mathos, Sliq, Cactuar, Forward, Azen, ChuDat, Cort, PC Chris, and Mew2King twice to complete one of the greatest loser's bracket runs of all-time. By March 8th, 2009, he was considered one of the best active Melee players in the world, having beaten PC Chris, ChuDat, Mew2King, and many other smashers at Revival of Melee in Nanuet, New York, placing 1st. On July 10th, 2009, Mango attended GENESIS by DBR, which had 290 entrants in Melee Singles (Melee's largest tournament ever at the time), where he reached the Winners' Finals and lost 2-3 the first set against Armada, a Peach main regarded as the best player in Europe. After defeating Hungrybox in Losers' Finals 3-0, Mango reached Grand Finals against Armada. Mango then proceeded to win a very intense and close second set 3-2, and the third set 3-0 to win the tournament. Revival of Melee 2 was the cause of much debate within the Smash community when Mango placed fourth after being double eliminated by Kage The Warrior. However, rumors and uncertainty ended after Mango claimed 1st place at Pound 4 (then the largest tournament in Melee history with over 300 entrants) without dropping a set, defeating Hungrybox 3-1 in Grand Finals. Since his victory at Pound 4, Mango was regarded by many to be the world champion of SSBM. After being banned on SmashBoards, Mango, along with DBR and the rest of his region, decided to prank the rest of the Smash community by creating an alias known as ScorpionMaster94 and sandbag at a number of tournaments. Originally going to use Luigi or Samus, when using his alias, Mango decided to use Mario after soundly defeating fellow SoCal smasher Smoke2Jointz in a money match. Mango and the rest of SoCal created a backstory for his alias, claiming "Scorp" was a prodigy from Mexico named Joshua Lopez who defeated everyone in SoCal and was ready to place Top 3 at Apex 2010. Mango, however, failed in this endeavor, losing to Wobbles and Eggz and getting an unexpected 25th place at Apex 2010. Mango continued to sandbag with other characters, such as Captain Falcon and Marth, in addition to his Mario, convincingly defeating Kage The Warrior 2-0 with Link and Marth at Revival of Melee 3 and receiving 9th place, and placing 17th at Pound V.
Mango's planned revival was GENESIS 2 now maining Fox (along with Falco) instead of Jigglypuff. Despite being upset by Taj in Winners Semis, he was able to fire through Losers Bracket to reach Grand Finals against Armada, defeating Hungrybox 3-0 in Losers Semis and Taj again 2-0 in Losers Finals (Taj forfeited after he was 4 stocked in game 2). After a close and intense set, Mango ultimately placed 2nd, losing 2-3 against Armada. Mango secured his position as champion of North America by winning Revival of Melee 4, convincingly defeating Dr. PeePee 3-0 in Winners Finals and 3-1 in Grand Finals. At Apex 2012, Mango fell short of people's expectations and placed 3rd after losing 0-3 to Armada in Winners Finals and 1-3 to Hungrybox in Losers Finals. After Apex 2012, Mango began to regain the dominant lead he held back in 2008. He won IMPULSE, a Canadian national tournament, after defeating Dr. PeePee, Hungrybox and Mew2King. Mango continued to defend his victory streak, convincingly defeating Hungrybox in Grand Finals at MELEE-FC10R Legacy and again at The Big House 2, winning both national tournaments without dropping a set. However, he placed 2nd at Kings of Cali, where he unexpectedly lost two sets of Grand Finals to Dr. PeePee 3-2 and 3-1 after defeating him 3-0 in Winners Finals. At Apex 2013, Mango defeated several notable smashers in Winners bracket such as Nintendude, Vwins, and Eggm, before losing to Mew2King. In Losers bracket, he defeated Vwins again, Hax, and Hungrybox before losing to Mew2King again, placing 4th. At B.E.A.S.T 3 in Sweden, Mango won the tournament after defeating well known European smashers such as Zgetto, Baxon, Overtriforce, and finally Ice in Grand Finals. At Kings of Cali 2, Mango won the tournament without dropping a set, defeating Shroomed 3-1 in Winners Finals and Wobbles 3-0 in Grand Finals. At NorCal Regionals 2013, Mango was upset by PewPewU in Winners Semis. Mango reached Grand Finals after defeating Fly Amanita, Westballz, and PewPewU in the Losers Bracket and won a convincing 3-0 first set against Hungrybox (including a 4 stock in game 2), but failed to pull through in the second set, losing 2-3. At Vindication, Mango defeated Mew2King in Winners Finals 3-0, but lost the first set of Grand Finals 1-3. However, he managed to win the second set 3-1, winning the tournament. Zenith 2013 was a significant tournament, with all 4 top players in the United States present for the first time since Apex 2013 as well as being a road to EVO qualifier. Mango was put in the Losers Bracket by Mew2King after losing Winners Semis 1-3. He defeated DaShizWiz 2-0 in Losers Quarters, Dr. PeePee 3-1 in Losers Semis, and Mew2King 3-1 in Losers Finals before reaching Grand Finals against Hungrybox. Mango won the tournament after defeating Hungrybox in 2 sets, both 3-1. At IMPULSE 2013 in Toronto, Mango claimed 1st place without dropping a game, defeating Unknown522 3-0 in both Winners and Grand Finals. Mango also took 1st in Melee Doubles (teaming with Unknown522) and 1st in Project M Singles. Mango after winning EVO 2013. With 709 entrants, EVO 2013 was the largest Melee tournament in a year. With his victory at Zenith 2013, Mango was the number one seed and successfully advanced from his pool in day one, cruising into the Winners' Quarters pool without dropping a game. On day two, Mango then proceeded to the Winners Semis pool after defeating Axe 2-1. In Winners Semis, Mango was put in the Losers Bracket after losing 1-2 to Wobbles. Mango then cemented his place in the Top 8 after defeating SFAT 2-1. Mango began EVO finals in the Losers Bracket. He defeated Ice 2-0 and Dr. PeePee 2-0 before reaching Losers Semis against Armada. In a highly anticipated match, Mango defeated Armada 2-0 to reach Losers Finals against Hungrybox. 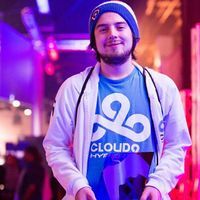 After defeating Hungrybox 2-0, Mango reached Grand Finals against Wobbles. Mango then defeated Wobbles in 2 sets, 3-0 and 3-1 to become the champion of EVO 2013. This, along with his run at Pound 3, is considered one of the best loser's bracket runs of all-time. After winning EVO 2013 and with the birth of his son, Mango announced that he would be taking a small hiatus from competitive Melee. During this period he entered tournaments primarily with secondary characters, including placing 2nd at LANHAMMER 2013 with Marth and 2nd at Pound V.5 with Marth and Captain Falcon. At Fight Pitt 3, Mango's Fox defeated Mew2King's Marth 3-2 in Winners Finals. However, Mew2King managed to take 2 sets from Mango in Grand Finals to win the tournament, both sets 3-1. At Apex 2014, Mango beat Fiction 2-0 in Winners Quarters but was defeated 1-3 by Dr. PeePee in Winners Semis. He then defeated Hungrybox in Losers Quarters 2-0 to reach Losers Semis against Leffen, the preeminent Fox player in Europe. Mango defeated Leffen in a riveting 3-2 set (including a 4-stock in game 5). Mango ultimately lost to Mew2King 1-3 in Losers Finals and placed 3rd. Mango after winning MLG Anaheim 2014. Revival of Melee 7 marked Mango's return to competitive Melee. Mango won the tournament without dropping a set, defeating Hungrybox 3-0 in winners' quarters, Darrell 3-0 in winners' semis and Mew2King 3-2 in winners' finals and 3-1 in Grand Finals. This was also the third time Mango has claimed a ROM title. At Fight Pitt IV, Mango faced off against Mew2King in winners' finals and won 3-2. In Grand Finals, Mew2King won the first set 3-2, but Mango prevailed in the second set, winning 3-0. In the final set, Mango's Falco was able to defeat Mew2King's Marth on Final Destination in two consecutive games, a remarkable feat considering Mew2King's mastery of the Space Animal match-up on that stage. At WHOBO MLG, Mango was upset by Hax 1-3 in winners' finals. Mango went on to defeat Hax in two sets of grand finals 6-0 using Falco to win the tournament and successfully qualify for MLG Anaheim 2014. On May 6th, 2014, Cloud9 announced that they had signed Mango to lead their fighting games division. Mango's first tournament under this new sponsor was Get On My Level 2014, where he took 1st place, defeating Kage 2-0, KirbyKaze and Mew2King 3-0, and Hungrybox 3-2 in grand finals for the title. However, at subsequent tournaments, Mango did not perform as well. At SKTAR 3, he lost to PPMD 1-3 in winners' finals, and then was eliminated by Mew2King 1-3 in losers' finals, finishing at 3rd place overall. At Super SWEET, he was defeated by Armada 2-3 in winners' finals then eliminated by Mew2King 1-3 once again in losers' finals, with the last match being a 4-stock against him on Pokémon Stadium. MLG Anaheim 2014 was notable for having one of the largest prize pools in Smash history at $15,000. Mango defeated PPMD in winners' semis 3-2 and Armada in winners' finals and grand finals, both sets 3-2, to claim first place. Mango later attended CEO 2014, where he managed to defeat Mew2King 2-0 and Armada 3-1 to secure a spot in grand finals. However, CEO proved not to be a repeat of MLG Anaheim, as Armada came back in grand finals to win two sets over Mango, 0-3 and 1-3, to take the tournament. At Kings of Cali 4, Mango defeated MacD, Fiction, and aMSa 3-0 before reaching winners' finals against Armada, where he won 3-1. He lost the first set of grand finals 0-3 to Armada, but still won the second set 3-1, placing 1st overall in singles at the tournament. EVO 2014 had a total of 970 entrants for Melee, surpassing the record set by EVO 2013 and becoming the largest Melee tournament for over six months. In the winners' quarters pool, he defeated Axe 2-1 to make it into the top 8 via winners' bracket. He then defeated Mew2King 2-0, and Hungrybox 3-2 in both winners' finals and grand finals, to take first place. This victory allowed Mango to become the first player to win Melee singles at EVO more than once. In October of 2014, Mango attended The Big House 4, one of the biggest tournaments of the year. In Top 32, Mango beat The Moon 2-0 and Hax 3-1 to make Top 8. In Winners Semis, he lost 3-0 to Mew2King's Sheik. In the Loser's Bracket, he defeated his best friend Lucky 3-2, Armada 3-1, and Leffen 3-1 to reach Grand Finals versus Mew2King. Mango defeated Mew2King's Marth 3-1 in both sets of Grand Finals to claim first place. Due to this victory along with his victories at MLG Anaheim 2014 and EVO 2014, Mango was considered by many to be the world champion of Melee at the time. Mango began 2015 by traveling to Sweden for B.E.A.S.T. 5. He beat Ice 3-0 in Winners Semis to advance to Winner's Finals, where he lost to Leffen 3-2, the first time Leffen had beaten him. Mango then quickly lost to Armada 3-0 to place a disappointing 3rd place. Mango's appearance at the Apex tournament in February of 2015 was largely the role of an avenger after Leffen's highly anticipated and convincing 5-0 game win against Chillin. In response to Chillin's loss, Mango challenged Leffen claiming: "[If] we meet in bracket, we're putting one thousand on it." Leffen immediately accepted and would go on to defeat Mango's Falco with Fox in a series of hard fought matches that ended with a 3-1 game score in Leffen's favor. After the defeat, Mango defeated Yoshi main aMSa in a close 5 game set 3-2 in loser's quarters before losing to Armada 0-3 in loser's semis, netting 4th place. He also coined the "Buster" meme, claiming that he "went out like a buster" after losing to Leffen and Armada. After his performance at Apex, Mango did not enter another major tournament until I'm Not Yelling in April. After reaching Top 8, Mango got his revenge on Leffen, beating him 3-1 and then beat Armada's Fox 3-1 as well to advance to Grand Finals. However, Armada switched to Peach and won both sets of Grand Finals by a score of 3-1. A week later at MVG Sandstorm, Mango had one of the worst tournaments of his career. He lost 3-2 to Axe in Winner's Semis and 3-1 to Westballz for 5th place. At Press Start in May, Mango was DQ'd from the Winner's Bracket after failing to show up to his match on time. In the Loser's Bracket, he beat Jace, Westballz, Hax, Leffen, Shroomed, Lucky, Hungrybox, Axe, and Fly Amanita twice to complete yet another amazing Loser's bracket run. He rode this momentum to win at Battle Arena Melbourne 7 in Australia, where he defeated Leffen in Winner's and Grand Finals by a score of 3-2. Though he seemed poised for a repeat of 2013 and 2014, where he had a bad winter but a dominating summer, this would not turn out to be the case. At CEO 2015, Shroomed's Sheik defeated Mango's Fox 2-0 in Winner's Quarters. He narrowly defeated MacD 2-1 to make Top 8. The next day, he won a close nailbiter set against Plup's Sheik 3-2, then beat Hungrybox and Westballz 3-1 before losing to Armada 3-1 for a 3rd place finish. One week before EVO, Mango attended WTFox. After beating Wizzrobe 3-1 to make Top 8, he lost to Armada by a score of 3-1. In the Loser's Bracket, he defeated Westballz 3-0, Mew2King 3-2, and Armada in a dramatic 3-2 set before being swiftly 3-0'd by Leffen to finish in 2nd place. EVO 2015 became the second largest Melee tournament of all time, with 1869 entrants. Mango was knocked into the losers bracket in winners quarters by Plup's Sheik 1-2 in a rematch from CEO 2015, causing a major upset. He beat DruggedFox 2-0 to make it into top 8, then beat ChuDat 2-0 to face Hungrybox in losers quarters. Hungrybox ended up winning over Mango 2-1, ending Mango's EVO run at 5th place, meaning a new EVO champion would be crowned, which ended up being Armada. At Paragon Los Angeles 2015, Mango placed first over players such as Mew2King, Hungrybox, Leffen, Plup, Axe, and Westballz. Notably, he used Falco for matchups that had caused trouble for his Fox in previous months, namely, Sheik, Marth, and Pikachu. However, a few weeks later, Mango had a catastrophic performance at HTC Throwdown, losing to DruggedFox and MacD for 17th place. At The Big House 5, Mango reached Top 8 by defeating Abate 3-0. He lost to Hungrybox 3-1, beat Westballz 3-1, then lost to Mew2King by a score of 3-0 to get 4th place. He failed to defend his Big House title. After this, Mango fully committed to playing only Falco. At Smash Summit, he lost to Mew2King in Winners Semis by a score of 3-0 before beating Shroomed, Plup, and Mew2King, all by a score of 3-1. He then lost to Armada in a close 3-2 set to get 2nd place. At Dreamhack Winter 2015 however, he lost to Plup 3-2 and Westballz 3-0 to place 5th and cement 2015 as one of Mango's worst years in Smash. The first major tournament of 2016, Genesis 3 marked the revival of one of the most prolific tournament series in Smash history. Mango came into the tournament as an underdog, as he failed to place above 3rd at any major in 2015. He was upset in winners quarters by Axe 3-1 before defeating Plup 3-1 in the losers bracket to qualify for Top 8. Mango then proceeded to win the next 10 games he played, running through Nintendude 3-0, PPMD 3-0, and getting his revenge on Axe 3-0. He then defeated Hungrybox 3-2 to qualify for Grand Finals against Armada. Mango crushed Armada in the Fox ditto in the first two games, prompting Armada to switch to Peach before Mango won the first set of Grand Finals 3-1. Mango lost the 2nd set 3-1, placing the highest he had in any super major for over a year at 2nd. As 2016 wore on, Mango continued to consistently place better than in 2015 but major tournament victories still eluded him, thanks in part to the recent dominance of Hungrybox. Mango placed 2nd to Hungrybox at PAX Arena, Battle of the Five Gods, Pound 2016, Enthusiast Gaming Live Expo, and Low Tier City 4, and defeated him once in between, taking two sets to win DreamHack Austin 2016. He added another silver medal to his collection at Get On My Level 2016, where he defeated Hungrybox in Loser's Finals but lost in Grand Finals 3-1 to Leffen. At WTFox 2, Mango breezed through bracket playing only Marth before playing Wizzrobe in winner's semis where he won in a close game 5 set 3-2. He then faced Armada in winner's finals, where he once again brought out a Marth pick for the Final Destination match before winning the set 3-1. He then faced Armada in Grand Finals, where he cleanly swept Armada 3-0 to win his first tournament with Armada present since The Big House 4. EVO 2016 became the largest Melee tournament of all time, with 2,372 entrants. Mango swiftly breeze through the bracket until he encountered Plup where Mango was defeated 2-1. Crusing through the losers bracket, Mango was able to swiftly 2-0 Zhu and managed to enter top 8 losers side. In top 8 losers side at the largest Melee tournament of all time, Mango was able to take down PewPewU at 2-1 and Mew2King 2-1. After his wins against Mew2King and PewPewU, Mango's losers run fell short as Hungrybox, who grew very dominant throughout early 2016, defeated Mango 2-1, placing Mango at 4th. Mango entered The Big House 6 and swept through the entire bracket (with exception to a very close battle in winners quarters against The Moon, who he beat 3-2) up to the winners side of Top 8, where he defeated Armada 3-2 and Ice 3-0 to qualify for Grand Finals. He faced Armada once again in Grand Finals. Despite Armada resetting the bracket 3-1, he ended up winning 3-2, with very close games in both sets of Grand Finals, and once again taking the title of champion of The Big House. Mango winning Royal Flush, ending Armada's 7-Month winning spree. Mango competed at GENESIS 4. He swept through pools and Top 32, 2-0ing and 3-0ing all players he faced (with the exception of Hungrybox, whom Mango surpassed with a 3-1 victory in winner's quarters). In top 8 however, he lost against Armada 3-1 and he confronted against his rival, Leffen. In a spectacular comeback, he beat Leffen 3-2, Hungrybox 3-1, and Mew2King 3-1 to move on to Grand Finals where he faced Armada once again. Nonetheless, he lost in Grand Finals against Armada in an anti-climatic, 3-0 finish. After GENESIS, Mango's performance had notably declined throughout January to May 2017 due to his random losses and inconsistent placings. In Smash Summit Spring 2017, Mango made an embarrassing 9th place finish. Mango started out beating Ice 3-0, but he dropped to losers bracket when he lost to Plup in a 3-0 fashion. In the losers bracket, Mango lost to Axe 3-1 and finally, losing to ChuDat 3-2. At Frame Perfect Series 2, Mango made a devastating loss in top 32 where he was defeated by Drunksloth in a 3-0 fashion. In the losers bracket, he made a reverse 3-0 against King Momo but he was defeated by Kels 3-1, ending his losers run at 13th place. At Smash Rivalries, Mango made a clutch win against PewPewU 3-2 but lost once again to ChuDat in winners and to Axe 3-1 in losers. In DreamHack Austin 2017, Mango swept through pools and defeated Duck 3-2 and Leffen 3-0. However, for the third time, Mango lost to ChuDat by 3-1 and was sent to losers where he lost to Mew2King 3-1, ending his run at 4th place. After his embarrassing losses against ChuDat and his inconsistent placings throughout early 2017, Mango made his resurgence by winning Royal Flush on Mother's Day. Mango started off strong in pools by 2-0ing players he met at pools. After pools, he swept through top 32 winners by 3-0ing Mafia and La Luna. In winner's quarters, he quickly took down MikeHaze 3-0 but lost to Armada in a close 3-2 in winner's semis. Pursuing retaliation, he made it to Grand Finals as he reverse 3-0 Shroomed, 3-0 Druggedfox, and 3-1 Hungrybox. Mango and Armada made a rematch once again in Grand Finals. Despite Armada's dominance, Mango ended up winning 3-2 twice, with very close games in both sets in Grand Finals, obtaining the title as the champion of Royal Flush. Mango also notably finished Armada's 7-month winning spree, in which Armada won every tournament he entered since The Big House 6, which he had also lost to Mango. Since Royal Flush, Mango had maintained his consistency throughout 2017 like his notable placement at EVO 2017. EVO 2017, despite the decrease amount of entrants in comparison to its predecessor, is still one of the biggest Melee tournaments of all time, at 1428 entrants. In this tournament, Mango swiftly cruise throughout pools and top 32 winners while able to 2-0 Swedish Delight and 2-1 Prince Abu. In top 8 winner's semis, he knocked the previous EVO Champion, Hungrybox, into losers in a 2-1 victory. Nevertheless, Mango wasn't able to pass through winner's finals as his rival, Armada, was able to swiftly 3-0 Mango out of winners. Pursuing retaliation once again, he made it to Grand Finals as he eliminated Hungrybox 3-2. Mango and Armada made a rematch once again in Grand Finals. 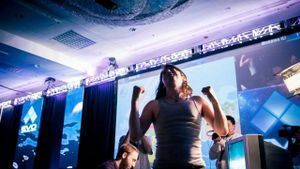 Unlike their previous rematch at Royal Flush, where their matches were extremely close, EVO's Grand Finals was merely lopsided to Armada's favor as Mango was stumped by Armada's strong dominance. Losing to Armada 3-1, Mango placed 2nd at EVO 2017. Super Smash Con 2017 was held once again in 2017. Mango finished phase 1 and phase 2 pools, defeating Crush 3-1. Throughout winners, he first faced Axe; after taking a game against Axe, Mango and Axe did the unexpected and switched from their mains to their secondaries: Mango as Mario and Axe as Young Link. In a close match, Axe's Young Link clutched the game against the former Scorpion Master. After Axe took the game, the two competitors switched back to their mains where Mango defeated Axe in a close 3-2. Riding the winners bracket into top 8, Mango defeated Mew2King 3-1, Plup 3-2 and made it to Grand Finals. During Grand Finals, Mango swiftly 3-0 Mew2King and was declared as the champion of Super Smash Con 2017, maintaining his title from the previous year. At Shine 2017, Mango swept through top 96 and defeated Captain Smuckers 3-0, PewPewU 3-2, and finally defeated ChuDat 3-1, heading to top 8 winners. In top 8 winners, Mango defeated Plup 3-0 but lost to Hungrybox 3-1, forcing Mango to be sent to losers. In loser's finals, Mango made a convincing 3-0 against S2J. On Grand Finals, Mango was defeated by Hungrybox in a close 3-2 set. Unable to reset Grand Finals and losing to Hungrybox, Mango secured his placement at 2nd. During top 32 winners of DreamHack Denver 2017, Mango defeated NMW 3-0, and ChuDat 3-1. Into top 8, Mango defeated Axe 3-1 while losing one game as Mario. However, Mango lost to Hungrybox 3-2 and was sent to losers bracket. In Loser's Finals, Mango defeated Axe 3-0 while getting vengeance with Mario in the set. In Grand Finals, Hungrybox defeated Mango 3-1, securing Mango's spot as 2nd place. The Big House 7 was a profound tournament in 2017. In top 64, Mango was capable to run through winners while able to defeat Professor Pro and Shroomed but was quickly stopped by Leffen with a 3-0 loss. Throughout loser's top 16, Mango eliminated Crush 3-1 and Wizzrobe 3-1. After Mango had defeated Wizzrobe, the two "Non-Gods", Leffen and Plup, were able to defeat Hungrybox and Armada. The latter, Plup, became the second person to defeat all "Gods", with Plup beating Armada 3-1, earning his status as a "God-Slayer". This marks the first tournament ever where there is not one single "God" at Winner's Finals since the Era of the Five Gods (with Leffen and Plup, the God-Slayers, earning their spots in Winner's Finals by eliminating the four competing Gods). Coincidentally, all of the "Gods" with the exception of PPMD (who is currently inactive), made it in and competed against each other in top 6 loser's bracket. Mango unfortunately lost to Armada 3-1 in losers' quarters, securing a 5th place finish. At GENESIS 5, Mango breezed through most of Top 32, before falling to Plup 2-3 in Winners Quarter-Final. He then preceded to eliminate Wizzrobe and Axe before losing to Leffen 2-3, placing 5th. His next tournament was The Mango, a tournament that he had helped organize; despite this, Mango chose to sandbag and played Captain Falcon, losing to Kalamazhu and Glitch, placing 17th. Mango then went to Full Bloom 4, where he blew through top 32, defeating Duck and aMSa, before being destroyed by Leffen 3-0. He then preceded to eliminate SFAT, Wizzrobe, and win his dominant rematch with Leffen 3-0 to make it to Grand Finals, where he lost to Hungrybox 3-1, placing 2nd. For the sixth time in a row, Mango was invited to Smash Summit 6. During pools, Mango pulled off an impressive run by defeating everyone in his pool, including Armada and Hungrybox with Falco (the first time either had lost a full set to Falco in years), while making it to the winner's side of bracket. However, Mango then lost to Zain 2-3 and, later, to Hungrybox 3-1, placing 7th. In doubles, Mango teamed with SFAT, defeating n0ne/Wizzrobe, Mew2King/Plup, and Armada/Leffen to make it to Grand Finals. However, they were then double-eliminated by Armada/Leffen 2-3 and 3-0, placing 2nd. At Smash 'N' Splash 4, Mango swept through his pool and most of Top 64 until he was sent to Loser's Bracket by Mew2King 2-3. In Loser's, he defeated Wizzrobe before losing to Zain 0-3, placing 7th. At his next tournament, Low Tier City 6, Mango was upset by ARMY 2-3 in Top 64. He then preceded to defeat Tai and AbsentPage 3-1 and 3-0, respectively, before losing to Armada 1-3, placing 5th. Mango similarly placed 5th at EVO 2018, making it to Winner's Top 8 but losing to both Plup and Armada 0-2. Despite his consistent results, Mango was inconsistent against top players; furthermore, he had only made it to Grand Finals once at that point, while failing to win a tournament. As such, Mango dropped to 6th on the first Melee PGR. At Super Smash Con 2018, Mango lost to Flipsy in Phase 2. He then subsequently dropped out of the tournament, citing that he was too tired, and placed 65th; not only did he fail to defend his title from last year, but it was also his lowest placement to date. This caused a lot of backlash from his fans, who threatened to unsubscribe from his Twitch channel; Mango then preceded to say that he had spent a lot of time streaming and taking care of a family, while telling the haters that "couldn't make it in sandals." Thankfully, Mango was able to perform significantly better at Shine 2018. In Top 8, Mango was able to defeat Plup's Fox 3-1 before losing to Zain 2-3 and Hungrybox 0-3, placing 3rd. Mango's next tournament was The Big House 8, where he stormed through to Winner's Top 8 without dropping a game. In Winner's Semis he met Leffen; there they had a close and intense set, but Mango ultimately triumphed 3-1. Mango advanced to face Hungrybox in Winner's Finals and lost 0-3, notably bringing out his Fox for the first time in tournament since he had met Hungrybox seven months earlier at Full Bloom 4. He then played Plup in Loser's Finals, switching back to Falco, but fell 0-3 once more. Losing 0-6 to MPGR's #1 and #2 players, Mango was out at 3rd, ending his legacy of even-numbered Big House victories. With Fox, Mango is known for his excellent neutral game, featuring incredible dash-dancing, aggressive running shine cross-ups, and running shield mix-ups. With Falco, Mango is known for creativity, excellent use of crouch cancels and shine out-of-shield to start combos and an unparalleled ability to dominate otherwise amazing players when the crowd is behind him. Mango is known for having world-class DI, great recovery, as well as reading and reacting to his opponent's poor choices. Mango is also capable of playing many characters at a very high level, including Mario, Jigglypuff, Falcon, and Marth. He often has demonstrated (and pointed out himself) that his Jigglypuff in particular still influences his usage of aerial movement with his other characters in tournament, such as in this moment during GOML 2016. Mango will play Falcon occasionally for styling or when playing a ditto match. An infamous set where he played Falcon and Marth against Hax, who had recently changed to Fox, was in Winner's Quarterfinals at The Big House 4. Mango won the set 3-1 and had a notably memetic play where he walked up slowly and just down smashed for a KO. After that, he closed out the last two games of the set with Marth, which he rarely used in tournaments at the time. However, Mango's performance can be wildly inconsistent, as seen with his 17th placing at HTC Throwdown. His unorthodox and usually unsafe approach to the game has led to several upsets from lower ranked players, such as Westballz, MacD, DruggedFox, Axe, Hax, and Wobbles. He has since worked on mixing in defense and zoning along with his signature aggressive style, which had seen some success against Hungrybox and Armada. 2GG Battle Frontier December 11th, 2010 1st ? ? Despite being known as one of the most skilled Melee players ever, and a consistent crowd favorite, Mango has been the center of a handful of controversial situations earlier on in his career. Such situations usually concern his divisive style of humor, or the sometimes abrasive and brief delivery of comments and criticism to others. The most notorious example of this is his reddit AMA created after his EVO 2013 win. Many observers criticized Mango's responses for lacking substance, as well as proper grammar, and the thread exploded when Hungrybox wrote a lengthy comment criticizing Mango's allegedly poor treatment and respect of him. Mango's response became one of the most downvoted reddit comments of all time, and following the AMA, many criticized Mango for creating a negative image of Melee and being a poor representative of the community. However, Mango would later take part in a follow-up interview with Hungrybox conducted by Melee It On Me, where they cleared up their misunderstandings. Additionally, after Mango established himself as a popular Twitch streamer, he has since been seen more favorably by both outside observers and individuals in the Melee community who disliked him in the past, due to his improved conduct compared to his 2007-2013 self. During the EVO 2015 awards ceremony, Mango threw his fifth place medal into the crowd, and gave a thumbs-down as Hungrybox received his second-place medal, causing many spectators to boo him. While some argue that his medal-throwing was unsportsmanlike, and done out of Mango's disappointment at not capturing first place, others believe that the gesture was done out of respect for his fans. Mango has since thrown his medal several more times at major tournaments. The only players that Mango holds a negative record against in Melee are Armada (21-29), Zain (1-3), ARMY (0-1), Flipsy (0-1), and Magi (0-1). The only players who hold tied records against him in Melee are Leffen (11-11), Ken (3-3), and Bananas (1-1). Mango's son, born October 14th, 2013, has his middle name taken from Mango's gamertag; his full name is Joseph Mango Marquez. He is also referred to as "Jojo". At HTC Throwdown, Mango placed 17th. This was his lowest placing at a national since he had sandbagged as Scorpion Master over 5 years earlier. He was upset by Druggedfox and MacD, who both beat him 2-1. Due to this poor placement, he jokingly insists that he only flew to San Francisco that weekend specifically to guest star in episode 5 of the "Scar and Toph Show", and smashers used various nicknames for Mango such as "Mango17" (in reference to Alex19) or simply threw around the number whenever his HTC Throwdown placement is mentioned or alluded to in a Twitch broadcast. MVG Sandstorm, EVO 2015, and DreamHack Winter 2015 marked his next worst placements at 5th each, losing to Axe 2-3 and Westballz 1-3 at MVG Sandstorm, losing to Plup 1-2 and Hungrybox 1-2 at EVO 2015, and losing to Plup 2-3 and Westballz 0-3 at DreamHack Winter 2015. These relatively poor performances in 2015 and 2016 have elicited the term "buster", which is usually used in the Smash community to describe someone who has underperformed at any given event (severely or otherwise). Mango once famously said at Apex 2015: "Life is this crazy, mystical thing, and sometimes, you just go out like a buster." One of Mango's Twitch subscription emotes uses the face of Buster, the bunny from the cartoon Arthur, wearing a pair of sunglasses to reference the term (coincidentally, the emote was also created the week before Apex 2015 began). From 2013 to 2015, Mango has thrown something towards the crowd at EVO. He threw his shirt in 2013 after beating Armada in losers semis. He threw his hat in 2014 after beating Hungrybox in grand finals. He threw his 5th place medal in 2015 right after receiving it during the awards ceremony, which he did not initially show up for. At GENESIS 4, he threw his 2nd place medal towards the crowd right after receiving it during the award ceremony. Mango is well-known for disliking the Fox mirror match in Melee, instead using primarily Falco against Fox players. However, after losing losers finals of CEO 2015 against Armada due to losing the first game in Fox dittos and not being well versed in the Falco/Peach matchup, he eventually decided to learn how to fight other Fox players with his own Fox, and has since defeated Armada in the Fox ditto at WTFox in losers finals, GENESIS 3 in grand finals, and Battle of the Five Gods (albeit only in the first game in the first case). In terms of Fox ditto games, he leads against Armada (8-3) between CEO 2015 and WTFOX 2. In relation to these victories, Mango has popularized the use of the title "master", not using it to actually describe his mastery at any particular thing, but rather to denote something he has done before or to boost his confidence in doing that action; in this case, it would be Fox dittos, in which he would call himself the "Fox ditto master" despite still disliking the matchup. Mango sometimes jokingly claims he is the "shield drop master." Mango stated that the reason he decided to main Jigglypuff is because he was inspired from watching The King's combo videos. Mango lost $1000 in a match against Leffen at winners' semis of Apex 2015, tying for the biggest loss of money in a single set, alongside SFAT and Tian. Mango, Leffen, Armada, Hungrybox, and Mew2King share the distinction of having won more than $100,000 in a select Smash title, being Melee. Curiously, Mango has won every Melee singles tournament falling on Mother's Day weekend that he has played in since 2011, those tournaments being 2GG 1.4 (2011), UCSB: Another Melee Tournament (2012), Vindication (2013), Get On My Level 2014, Press Start (2015), DreamHack Austin 2016, and Royal Flush (2017). While Mango does not enter Smash 4 tournaments, he did make a notable guest appearance at 2GGC: Civil War. This page was last edited on April 7, 2019, at 20:31.